Dry summer conditions in some parts of the province have farmers thinking about available forage. There are several things that can be done to help ensure you have enough feed until next spring. Add up the answers for each class for total daily dry matter intake (DMI). Multiply this by the number of days’ feed the farm needs. Add 10-25% to this total to account for wastage. This final number gives a realistic idea of the amount of forage required. When adding up the tonnage in hay stores and silos, make sure to record yield on a dry matter basis. If there is less forage than the livestock demand, now is the time to plan how to address the shortfall. Pastures that have been well managed from the beginning of the grazing season will be more resilient against dry conditions. Since rainfall grows grass, recovery times are longer when the weather is dry. Moving livestock onto alternative crops for grazing can extend the rest period on perennial pasture and allow for a full recovery. As an added bonus, alternative grazing can extend the season and reduce the number of days’ feed needed. Most cover crops can be grazed, as can grain crop residues. Strip grazing is the most effective way to graze these crops, as it minimizes animal health risks and spreads manure evenly across the field. If alternative grazing is not available, feeding harvested forages will protect the pasture and next year’s yield potential. 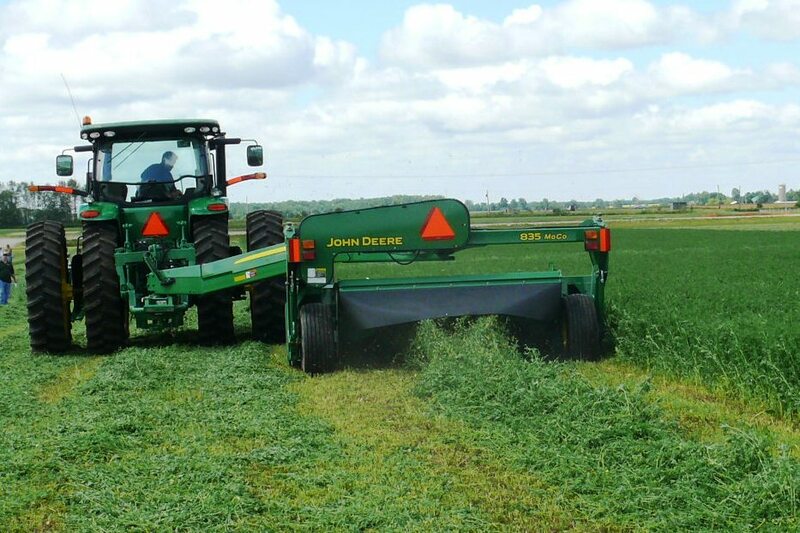 Be sure to account for these days of feeding when taking inventory of on-farm forage. If there is rain in the forecast, applying 55 – 75 kg N/ha (50 – 68 lbs/ac) can boost fall yields of pasture or hay. Nitrogen should not be applied to forage crops after mid-September, because it will reduce winter hardiness in the sward. Phosphate and potash recommendations for forages are based off soil tests. Guidelines are available in OMAFRA Publication 811: Agronomy Guide for Field Crops. Applying K in the six weeks before the critical fall harvest period improves winter hardiness. Having enough tonnage is only part of the feed inventory: without an analysis, it is impossible to know whether the forage has enough nutritional value to maintain animal production. By testing each lot (combination of field and cut) separately, lots can be allocated to different livestock classes according to their needs. The analysis can also be used to balance rations. Dry weather can cause nitrates to accumulate in fast-growing forages, like corn silage, sorghum sudangrass, brassicas, and cereals. Signs of acute nitrate poisoning include, staggering, vomiting, laboured breathing, blue-grey mucous membranes, and death. Chronic nitrate poisoning often appears as poor-doers, early-stage abortions, and pre-mature births. Testing forages for nitrates allows farmers to manage nitrate levels in rations and prevent animal health issues. 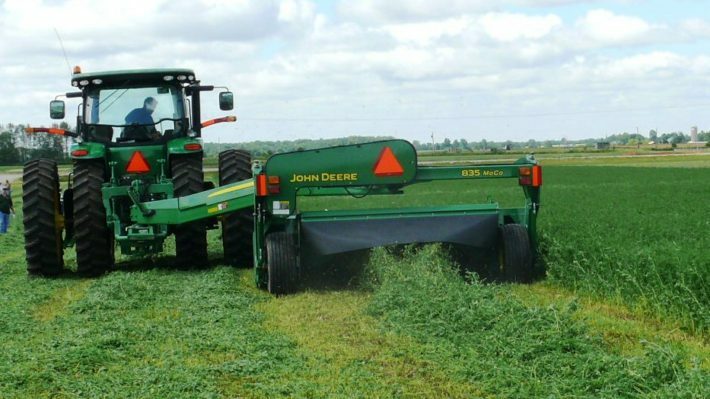 If you are unable to make up a forage shortfall with crops grown on farm, purchasing forages can fill the gap. Be sure to buy early, as prices tend to increase over the winter months and into the spring as supplies dwindle. OntarioHayListings.ca is a free classified service for hay and straw in Ontario. Challenging growing conditions can be very stressful, and it is easy to feel overwhelmed. If you need someone to talk to, or are looking for services in your area, you can call the Mental Health Helpline at 1-866-531-2600.